On the last night of our trip, while in Jim Thorpe, we ate at an eclectic little place called Flow. 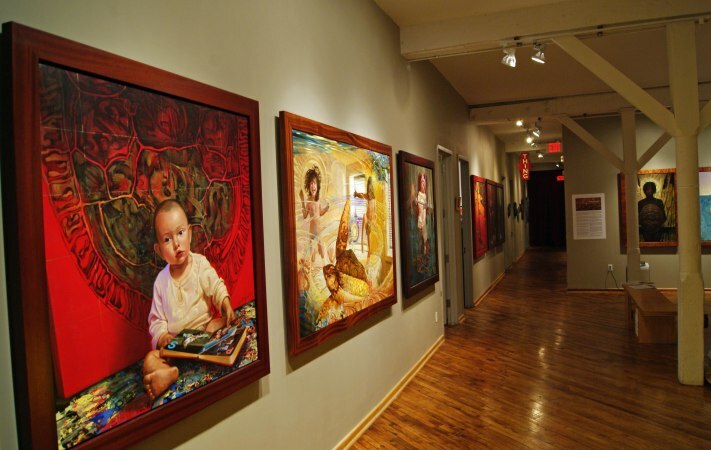 Located in an old factory building, it’s a combination restaurant and art gallery, mostly featuring the works of Victor Stabin, a co-owner of the building. 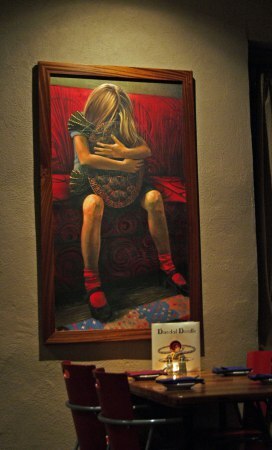 The art itself is pretty abstract, and adds to the overall ambiance of the place, which has a very modern vibe. 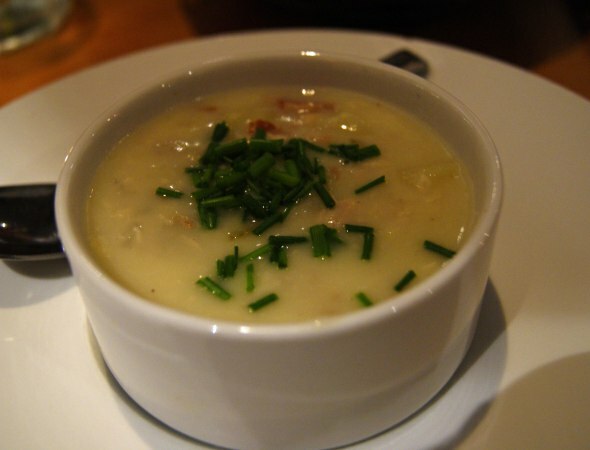 We started off with the signature bacon mac ‘n cheese and a cup of Mauch Chunk Chowder (trout, bacon, and potatoes). 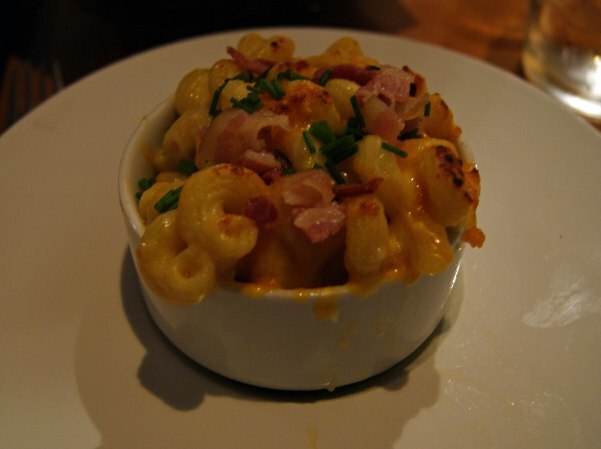 The mac and cheese was a pleasant, creamy combo of several different cheeses, and the plentiful bacon fit in perfectly. Is there anything that bacon doesn’t improve? 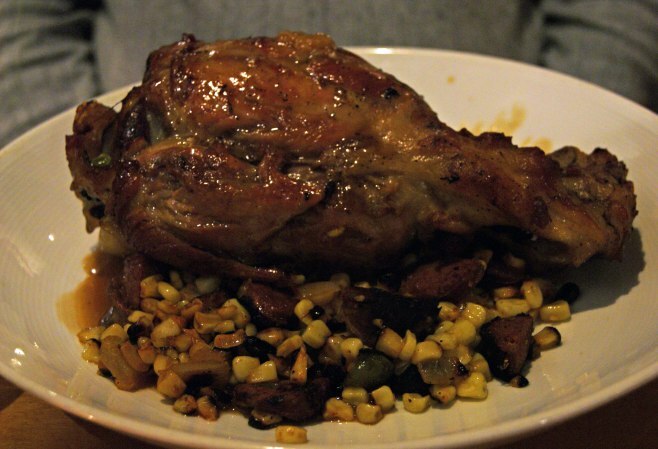 For the main course, S had a pork shank served with a sweet corn and Andouille hash. The pork was BIG, but fantastically tender. The hash was a nice complement, though the Andouille was a little too charred. 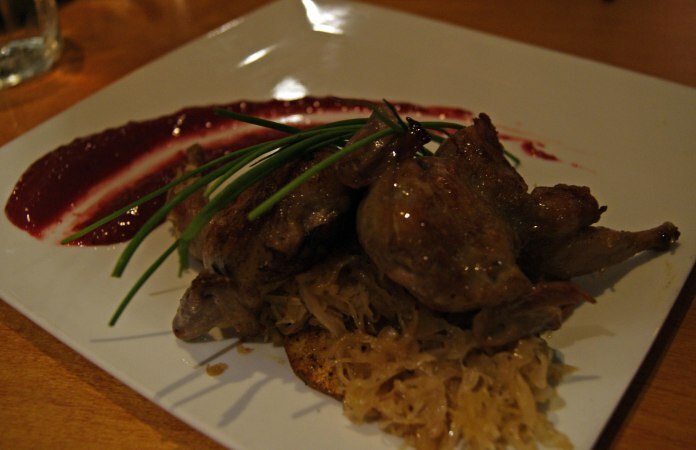 I had a pair of quail atop apple sauerkraut and sliced potatoes. Quail is harder to eat than chicken simply because of the smaller scale, but they have nice flavor to them. And the apple is a great addition to sauerkraut – the sweetness really tempers the sour part. 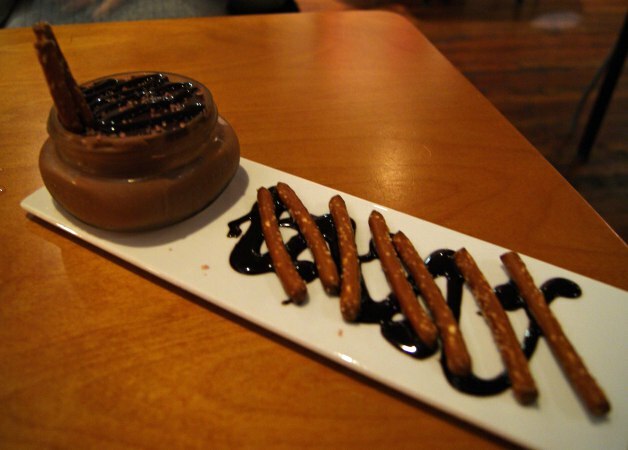 Dessert was a creamy, rich chocolate ganache with pretzels and dark chocolate sauce. The pretzels weren’t any different from anything you’d find in a store, but the ganache was excellent. Flow gets 5 1/4 stars out of seven. Service was fine, prices were fine, and the food was, overall, very good. A cute place off the beaten path that’s worth a visit, with the added bonus of some artwork if you’re interested in that sort of thing.